You can order as many as you like - no limit for each song. You can spread up to 2 channel if you want. Get 1 service FREE if you order 3 services total before ! All of my accounts are very realistic. They all have unique names and profiles and they all interact constantly on Mixcloud to mask any possibility of a trail for Mixcloud to follow. Im sure you've purchased services where the comments/foll0wers disappear. Never gonna happen with my accounts. Seriously, my accounts look amazing. Many have tracks and they all have their own followings which I gained using tried and true social networking strategies. 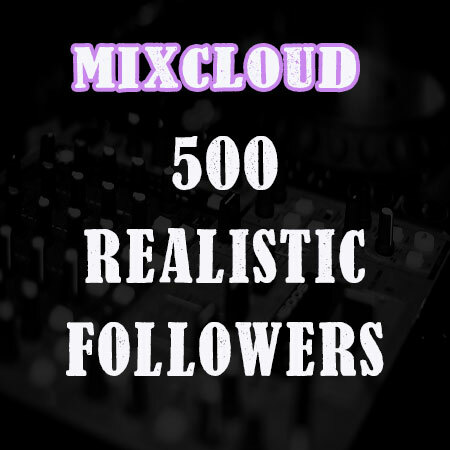 add 500 Followers for your MIXCLOUD is ranked 5 out of 5. Based on 7 user reviews.